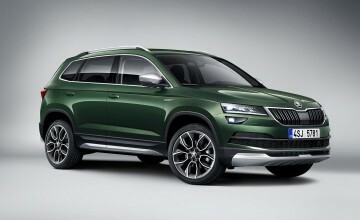 A COURIER system where goods are delivered straight into a car boot is being trialled by Skoda. 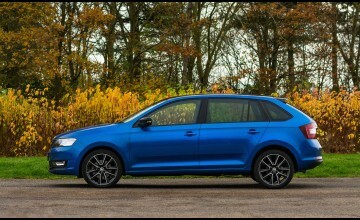 The Czech car maker's digital development team has teamed up with two of the country's biggest online retailers to try out the scheme. 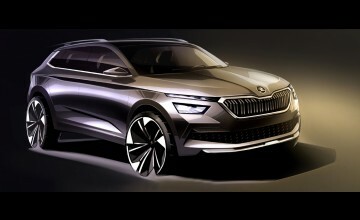 And if successful Skoda intends to roll out the service to the UK. 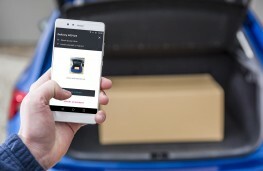 It works via an app hooked up to the vehicle's connectivity system which gives the retailer permission to deliver directly to a customer's car. When an order is placed, the car's location is displayed to the courier via GPS for delivery. Using the app, the courier is then granted one-time-only, secured access to open the boot within a pre-defined time frame. Security is paramount with data is encrypted and the parcel courier is restricted to opening the vehicle within a short time frame that is defined by the customer. Jarmila Placha, head of the Skoda DigiLab which developed the system, said: "This pilot project provides a concrete look ahead at how everyday life can be made even simpler and more convenient in future by using state-of-the-art technology. I'm looking forward to further developing this project together with our partners." The service and technology are currently being tested in the Czech Republic and the system is going to be trialled for the project partners by a small selection of customers.